COLIC....it's painful and it requires urgent attention. 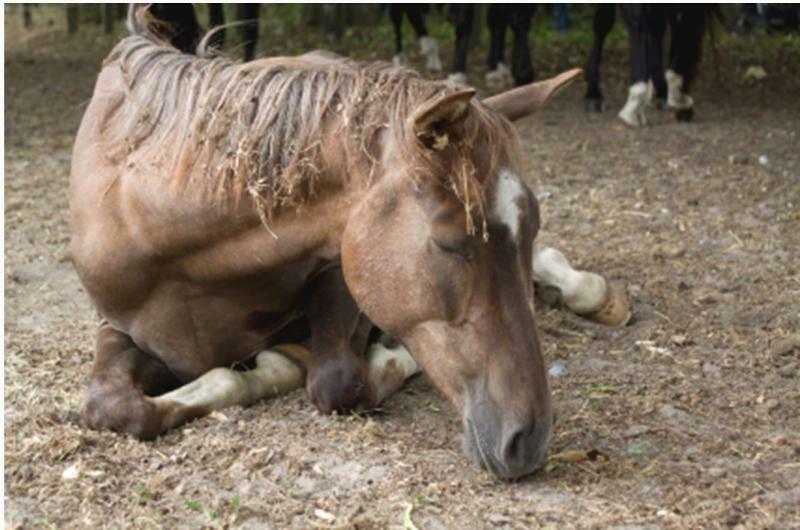 Can you help your horse through an epsiode of gas pain? pain until the vet arrives? Our Equine Emergency Kits have what you need in these situations and more. We are now offering a fully stocked equine emergency kit exclusively to MHVP clients. This comprehensive kit contains over 50 items including flunixin meglumine paste, SMZ-TMP antibiotic tablets, bute tablets, Hetacin-K, dexamethasone powder, electrolyte paste and much more. 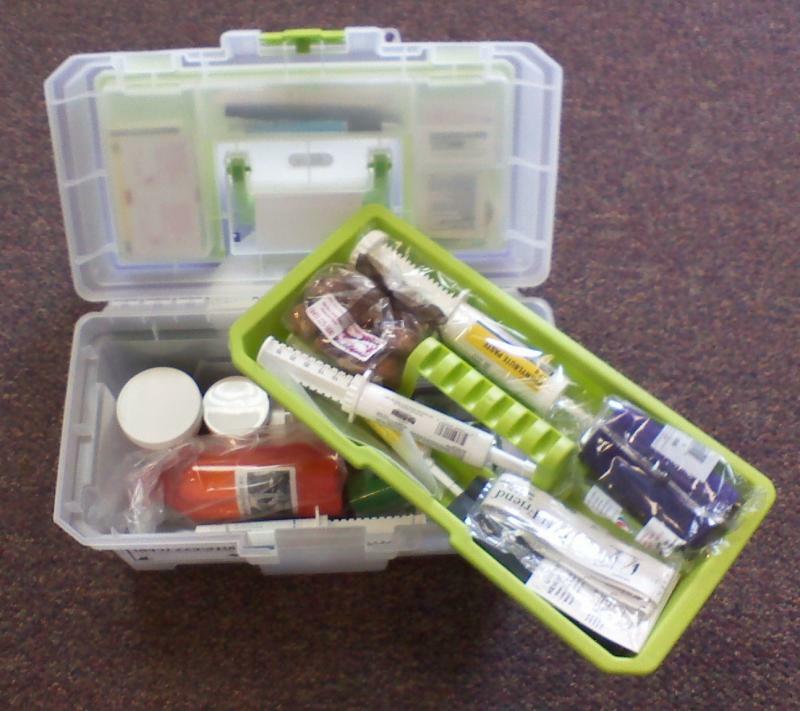 PLUS 1 sample container of our own "Scratches Medicine"
Over 50 items all in a sturdy carrying case! This is a must have kit for owners to help get their equine partners through life's more urgent situations. Injuries and illness are stressful enough. Not having the basic equipment / medications needed to aid your horse will only complicate the situation. Be prepared for the unexpected….order your kit today. Kits available for the introductory price of $175.00.